Guest Post by Sam R.
There are many situations that new parents may not be prepared for or informed about prior to having a baby. When I had my first son, I had no idea what jaundice was or why it was a problem. Luckily for me, my son’s jaundice resolved on its own with no issues but this is not always the case. Learning more about the tools and resources available can make all the difference. 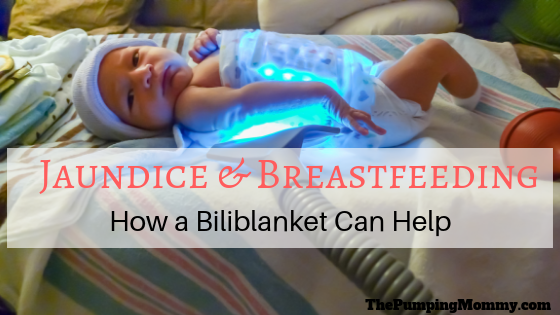 Find out how biliblankets can help with your baby’s jaundice and breastfeeding in this guest post! Many families encounter jaundice – it is a very common condition, and while in rare situations it can be dangerous, most of the time it is easily treatable. The challenge for most mothers is that jaundice can spell trouble for breastfeeding. Thankfully, there is a widely available and easy-to-use device that can treat jaundice while supporting breastfeeding efforts: the bilirubin blanket, or biliblanket. What does Jaundice Have to do with Breastfeeding? As explained in A Brief History of Neonatal Jaundice, when 19th-century pediatricians documented neonatal jaundice, formula-feeding was rare. Then, as formula feeding increased in popularity, a link was noticed between breastfeeding and jaundice. Today, we have a much better understanding of jaundice, including the knowledge that there are different types of jaundice. The most common variant, physiological jaundice, affects over 50% of newborns and is caused by elevated levels of bilirubin in the newborn’s bloodstream. Bilirubin is a pigment produced by the normal breakdown of red blood cells. The liver takes bilirubin and excretes it as bile. Therefore, one basic strategy to clear jaundice is to increase bowel movements. Therefore, one basic strategy to clear jaundice is to increase bowel movements. That’s where the link to breastfeeding comes in. We all know that breastfeeding can be challenging, especially in the first few days after birth. There can be many reasons why breastfeeding may take some time to establish – perhaps lack of flow, or poor latching – but the upshot is that in the days following birth, your baby may urgently need to feed at adequate levels to clear excess bilirubin, to avoid potentially fatal risks if severe jaundice goes untreated. Ideally, most mothers would prefer to exclusively breastfeed their newborns, but if jaundice occurs and worsens in the days following birth, then formula-feeding should be considered. This doesn’t necessarily mean giving up breastfeeding entirely; many mothers opt for mixed feeding. A common tactic is to try and breastfeed the baby as much as possible, then have someone else provide a “top-up” feed with formula, while the mother pumps to further stimulate lactation to induce or increase supply. Compared to actual breastfeeding, pumping is not as effective at inducing lactation or increasing breast milk flow, and mixed feeding does take additional effort. But, at this level of intervention, at least a good amount of breastfeeding is maintained. Where things get tough is if levels of bilirubin continue to climb, in which case the next step will typically be phototherapy. Conventional phototherapy, as we will soon see, can make it harder to breastfeed. There’s a colorful history behind the discovery of phototherapy for the treatment of jaundice, which was fortunately recorded in detail in a 1975 paper in the Archives of Disease in Childhood. The use of phototherapy to fight jaundice was discovered by accident in England, in the early 1950s. Sister J. Ward was put in charge of the premature babies unit at Rochford General Hospital – a role she was supposedly chosen for because of her reputation of being good with puppies, which says something about the times! A strong-willed character, Sister Ward felt that sunshine and fresh air would do more good for premature babies than being kept in incubation units all the time, and so against a recommended practice, she would sneak the babies out whenever she could. As it turns out, she was kind of right. Although she had no idea what was happening, Sister Ward was treating these babies with phototherapy. As consultants caught wind of what she was doing, it was observed that babies exposed to sunlight tended to have less jaundice. Then, a pathologist noticed that a vial of blood accidentally left in the sun had significantly less bilirubin. Proper studies followed, and today, we have phototherapy as a safe, effective treatment for jaundice. And we owe it to the out-of-the-incubation-box thinking of Sister J Ward, dog lover. And we owe it to the out-of-the-incubation-box thinking of Sister J Ward, dog lover. With conventional phototherapy, the newborn is placed in an enclosure under halogen or fluorescent lamps, with their eyes covered. While this is effective at breaking down bilirubin, it introduces some challenges, especially for breastfeeding. In the first few days after birth, bonding between mother and baby is very important for many reasons, not least of which is the link between bonding and stimulation of lactation. Things get even more difficult with demand-feeding: your baby is in a phototherapy box, then (usually at the least convenient time) baby decides it’s time to feed. To persevere with breastfeeding, someone needs to quickly get the baby out of the box and let the mother breastfeed, then promptly return the baby into the box to resume phototherapy. Doing this many times a day can quickly become very challenging. And note that with conventional phototherapy, while the baby is being fed, phototherapy is halted. This could add even more pressure to the breastfeeding experience as the mother is left wondering whether removing her newborn from phototherapy is making things worse. If the baby is having a slow leisurely feed, it can easily ramp up stress levels as doubt starts to creep into mothers mind – would it be better to cut off the feed to put the baby back in the phototherapy box? It can really be a stressful experience overall. 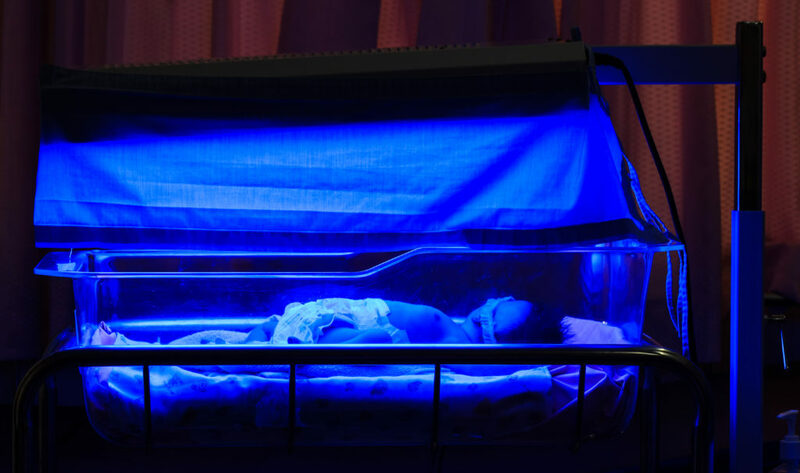 Biliblankets, or bilirubin blankets, are sometimes referred to as fibreoptic phototherapy devices (in contrast to conventional phototherapy). 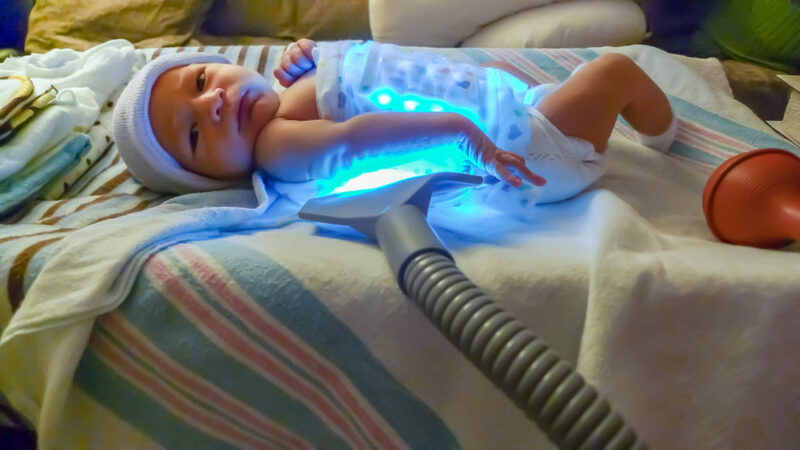 Unlike conventional phototherapy that relies on lamps to project light onto the babies skin, a biliblanket employs a “lightbox” to generate light at the required wavelength and channels the light via fibreoptic cables onto a soft padded surface that makes direct contact with the baby’s skin. In general, conventional phototherapy has better coverage over the baby’s skin, by completely bathing them in the light. 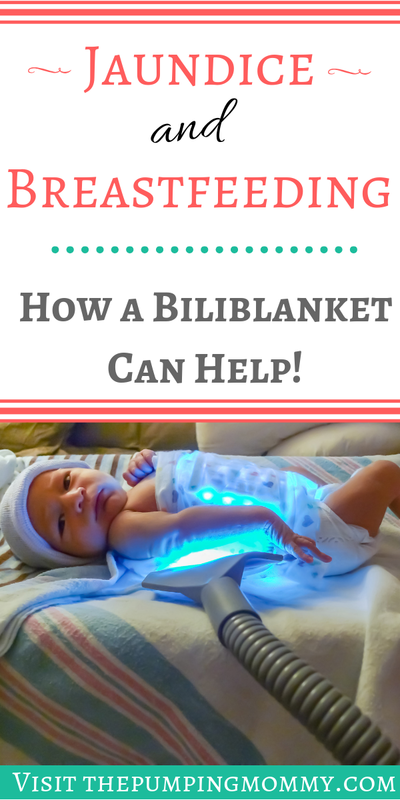 Phototherapy by biliblanket will inevitably tend to only cover a portion of the baby’s skin. This is not a problem in itself – as blood pumps through the baby’s body, bilirubin will be moved into an area of the skin that is illuminated and thus break down, but logically you can see how having more of the baby’s skin illuminated results in more bilirubin being broken down more quickly. In that sense, conventional lamp-based phototherapy is more effective than biliblanket fibreoptic-based phototherapy. But, the scales tip dramatically in favor of the biliblanket when practical considerations are taken into account. But, the scales tip dramatically in favor of the biliblanket when practical considerations are taken into account. The mother can hold their baby while phototherapy is ongoing. It takes a bit of practice to get a comfortable hold, but it’s not hard to figure out a comfortable hold for mother and baby. This is the key advantage of biliblanket-based phototherapy over conventional phototherapy because the bonding experience is extremely valuable for newborns and mothers, and is specifically important to induce lactation. With a biliblanket, you can keep your newborn wrapped up. Newborns love being wrapped up, especially because it helps with the startle reflex. With conventional phototherapy, your baby has to be left unwrapped so that the skin can be illuminated by lamps. It’s possible to breastfeed while the baby is “in” the biliblanket. Since the phototherapy can remain ongoing through a breastfeed, it doesn’t matter how long your baby nurses for. Due to the third point, with a biliblanket, the baby can spend more time undergoing phototherapy since feeding does not require a halt to phototherapy. This can somewhat make up for the reduced coverage of biliblanket-based phototherapy as opposed to conventional phototherapy: with a biliblanket, although less of the baby’s skin is illuminated, the illumination can be maintained for a longer period of time since there is not much need to ever remove the baby from the biliblanket – though you probably want to do so for diaper changes! It must be noted, however, that pediatricians may recommend conventional phototherapy over biliblanket-based phototherapy in some cases, for example, if bilirubin levels are above a certain level or are still rising too quickly despite remedial efforts like mixed-feeding. You should always take specific medical advice into serious consideration. While a biliblanket may be able to help many people, it won’t be right for every circumstance. What Can Expecting Parents Do? Jaundice is a very common condition, occurring in more than half of newborn babies, and most of the time it is easily treated with little intervention. However, it is important to treat jaundice seriously because it is a condition that can be potentially fatal in very rare circumstances. Therefore, it is always best to follow medical advice based on an accurate diagnosis specific to your baby’s jaundice. Sometimes, conventional phototherapy is needed, and although this might compromise breastfeeding success, it may still be the right course of action for your baby. But often, a biliblanket will be a viable option. Before the birth, when shopping around for a birthing facility, ask each facility if they have biliblankets – all things being equal, you may want to choose to have your baby in a facility that has lots of biliblankets available. Resources are always limited and facilities will have to prioritize equipment based on need, so picking a facility with more biliblankets available would increase the odds that your newborn can access one if needed. Before the birth, check for rental options – biliblankets are not very difficult to use, so in some areas, it would be possible to rent a biliblanket unit to take home with you. It wouldn’t hurt to do some research ahead of time to see what rental options are available in your area so that if the time comes when a biliblanket is required, you know who to call right away. Also, check with your insurance company if they will cover the costs. Once your child is born and jaundice is a concern – ask your caregiver if a biliblanket is a good option. Chances are, they would have already considered biliblankets since most maternal healthcare professionals these days really try to encourage breastfeeding, but it can’t hurt to ask about it! Sam R. is a Product Manager at Intrepid Wellbeing, creators of the Intrepid Pillbox supplements reminder app. 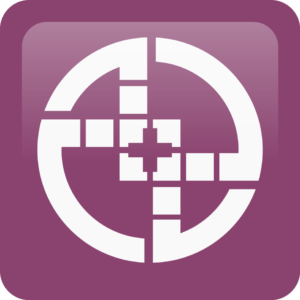 Intrepid Wellbeing publishes content on tips, tools, and technologies to help busy individuals get healthy and stay healthy with their active lifestyles, touching on topics such as travel, prenatal health, and more. 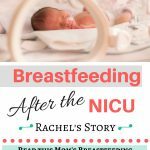 Real Moms Share Their Breastfeeding Journey!